The Greater New York Construction User Council (GNYCUC) honored the Naftali Group as the 2017 Developer of the Year during its 2018 New Year’s Reception, hosted in Penthouse B of Naftali Group’s restored, historic residential building, The Shephard, at 275 West 10th St. in the West Village. Naftali Group’s executive VP of construction Michael Witek, executive VP of marketing & design Matthew Van Damm and manager of marketing & design Danielle Naftali accepted the award on behalf of founder Miki Naftali. The evening’s celebration had premier skyline views thanks to its setting in Penthouse B, which is one of three penthouses in the 12-story Shephard condo development. 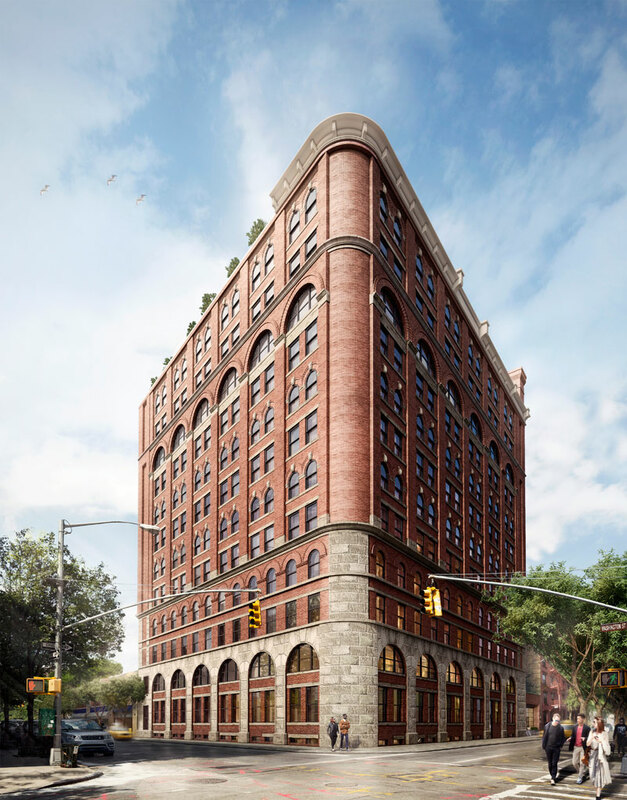 Originally constructed in 1896 as a warehouse, the building was converted in the 1970s to a rental building, before Naftali implemented a major overhaul following acquisition of the property in 2014, reconfiguring it to create 38 residences.